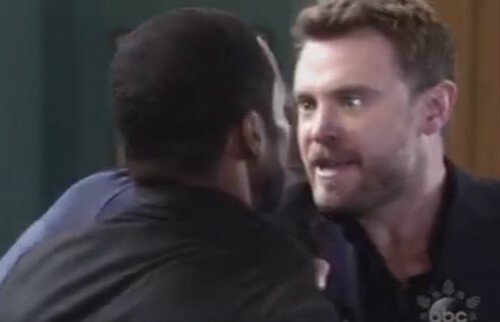 General Hospital (GH) spoilers tease that Sam (Kelly Monaco) and Drew (Billy Miller) may not be as solid as they want to believe. They’re already facing major obstacles, so all the chaos is sure to take a toll on them eventually. It looks like a big fight’s coming up next week, December 18-22, but Drew and Sam will do their best to work through the drama. Of course, more hurdles will hit as this GH plot heats up. It makes sense that Sam and Drew’s relationship will be strained. It wouldn’t be realistic if they just brushed everything off and pretended they were fine. Drew and Sam’s love will remain, but it certainly won’t be enough to help them avoid conflict. Meanwhile, we’ve got gentle Jason around to tempt Sam. He’s been very understanding of Sam’s feelings for Drew. Despite his brother’s total lack of respect, Jason hasn’t fired back or even pursued Sam yet. He’ll make his feelings about Sam clear soon enough, but he still probably won’t be pushy. Sam will be torn as she spends more time with Jason. She could be drawn to his very different personality. Drew has Jason’s memories, but he’s still his own man. He doesn’t have to remember his old life to exhibit some qualities that don’t match Jason. However, some of those qualities don’t line up with reports of Drew either. It’s clear that Drew needs to discover who he is in this new identity. That struggle could add to Sam and Drew’s problems. General Hospital spoilers state that we’re going to get some great fallout in the coming months. Sam adores Drew, but she’ll have to accept that she has deep feelings for Jason as well. GH’s co-head writer, Chris Van Etten, offered some love triangle hints in an interview with Michael Fairman. It appears fans on both sides will get a taste of what they want. Van Etten went on to talk about the “very hard road” Sam has ahead of her. He suggested that Sam would be faced with a seemingly impossible choice. “She is in love with two men, and you don’t simply choose one, and abandon the other in any sense,” Van Etten said. It sounds like no matter what the outcome, each twin will always hold a special spot in Sam’s heart. She’ll just have to decide which one she wants to be with romantically. Sam could flip-flop on that as this storyline progresses. We’ll give you updates as other Genera Hospital news comes in. Stick with ABC’s GH and don’t forget to check CDL often for the latest General Hospital spoilers, updates and news.